Below you will find our free downloads for winter driving tips. They fit perfectly on a standard 8 1/2" x 11" piece of paper. 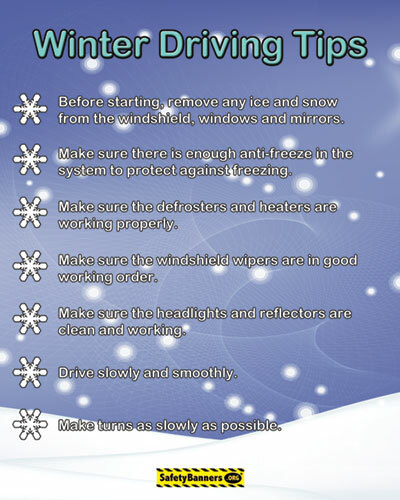 We also have many winter driving ans safety banners and safety posters available on our web site. Download and enjoy. Your friends at SafetyBanner.Org. CLICK HERE for our winter series of safety banners and posters INCLUDING our flu awareness series. 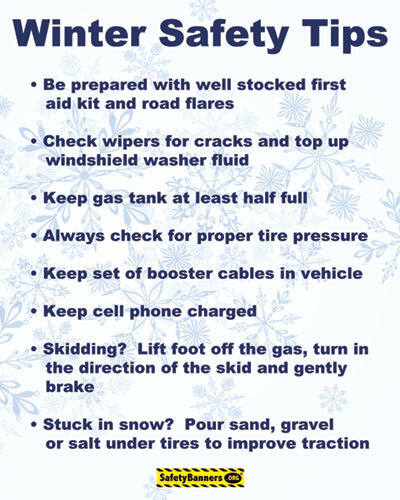 10 winter driving tips for truck drivers that can help keep them safe in the winter. Safety Banners and safety posters brought to you by SafetyBanners.Org.